A new play dramatising daily life in Whittingham Asylum in 1918 will premier this week. Called Whittingham 1918, the production is free to attend and will be shown at Whittingham and Goosnargh Sports and Social Club on Wednesday 24 October at 7.30pm. It will also be performed at St. Peter’s Art Centre at the University of Central Lancashire (UCLan) from Thursday 25 to Saturday 27 October. All performances will start at 7.30pm. The play, in partnership with Lancashire Archives, UCLan and UNISON, forms part of a wider two-year arts and heritage project exploring the history and legacy of the asylum. Opening in 1873, the asylum was demolished in 2016. Written by Eric Nothey, the play features the terrible effects that World War One had on asylum life in Britain. It focuses particularly on the impact of living and working at Whittingham. The production is based on research using documents that are stored at Lancashire Archives. 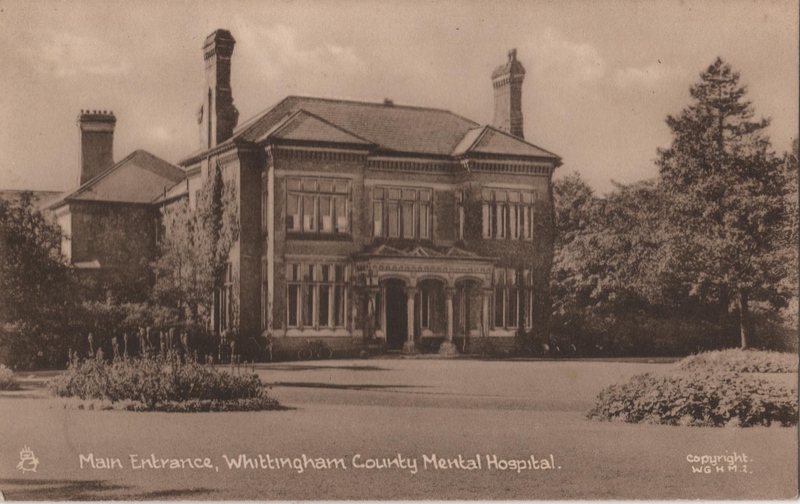 The Whittingham Asylum archive is looked after by Lancashire Archives, on behalf of Lancashire Care NHS Trust. Volunteers working for the Whittingham Lives project have spent time researching the historical background for the play. Terence Mann has directed the performance. Terence is course leader of UCLan’s BA (Hons) Acting course, and the drama features professional actors as well as seven final-year drama students from the university. Four former patients at Whittingham, Nochem Alexandrowitz, John Coupe, Mary Alston and Hepzibah Turner are characterised in the play. The actors playing their parts visited Lancashire Archives in September to research documents and photographs to help them develop these characters and to get a feel for themselves of what it was like in the asylum in 1918. County Councillor Peter Buckley, Lancashire County Council’s cabinet member for community and cultural services, said: “The play really gets to grips with the realities of life in the asylum before and during World War One. Especially the impact that the war had on those who lived there. “The performance also portrays the effect of the war on women, and how their role was changed. Free tickets to attend the performance at Whittingham and Goosnargh Sports and Social Club and at St. Peter’s Art Centre at the University of Central Lancashire (UCLan) are available by visiting www.eventbrite.co.uk and searching for Whittingham 1918. The performance is not suitable for anyone under the age of 16.